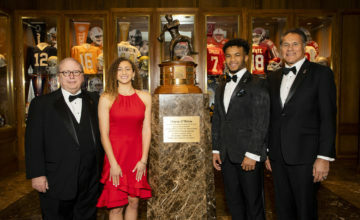 FORT WORTH, Texas (Nov. 15, 2016) – Davey O’Brien National Quarterback Award semifinalist Jalen Hurts of Alabama has been named the Davey O’Brien Quarterback of the Week after becoming the first player in school history to rush for at least 100 yards and pass for more than 300 yards in the same game. In a 51-3 win over Mississippi State on Saturday, Hurts was 28-of-37 passing with a career-high 347 yards and a career-best four touchdown passes. The true freshman also rushed 11 times for 100 yards and a score in three quarters of action. His 447 yards of total offense rank as the third highest single-game total in Crimson Tide history. The SEC Co-Offensive Player of the Week also matched the school record for total touchdowns responsible for in a game (five), while his four touchdown passes were one shy of the school standard. Hurts has guided Alabama to a 10-0 start and the nation’s No. 1 ranking in the most recent College Football Playoff, AP Top 25 and Coaches Polls. Hurts currently ranks 13th in the NCAA in total quarterback rating (QBR) and is 20th in points responsible for (162). The native of Channelview, Texas, is the first true freshman to be named Davey O’Brien Quarterback of the Week since UCLA’s Josh Rosen on Sept. 9. 2015. 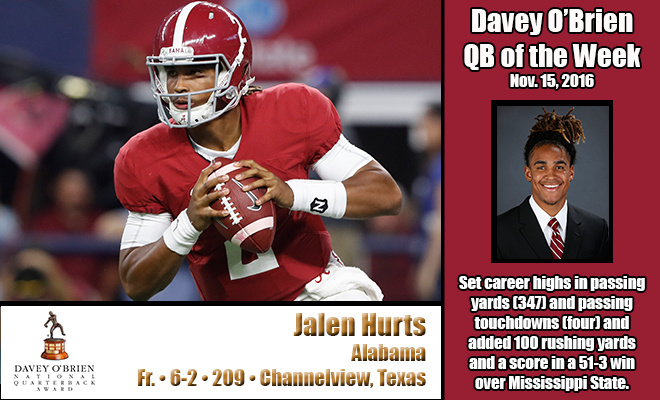 Hurts is the second SEC quarterback to claimed the weekly honor this season, joining Texas A&M’s Trevor Knight (Sept. 27). Hurts’ appearance on the Davey O’Brien “Great 8” list in Week 11 marked his fifth honor this season, tied for the second most by any player nationally. All FBS quarterbacks are eligible for the weekly award, which is determined by a subset of the Davey O’Brien National Selection Committee. The other “Great 8” quarterbacks in Week 11 were: USC’s Sam Darnold, Luke Falk of Washington State, USF’s Quinton Flowers, Kurt Palandech of UNLV, Ole Miss’ Shea Patterson, Nathan Peterman of Pittsburgh and Navy’s Will Worth. 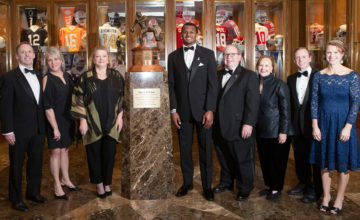 The Davey O’Brien National Quarterback Award winner will be announced on Thursday, Dec. 8 during ESPN’s The Home Depot College Football Awards. The winner is not required to have won a weekly award during the season. The 16 semifinalists were announced on Nov. 10, while the three finalists will be named on Tuesday, Nov. 22. 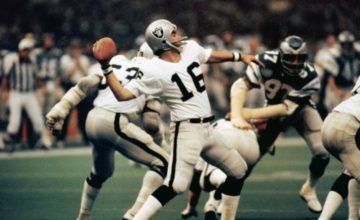 The Davey O’Brien Fan Vote, now in its 10th year, gives fans a chance to play a role in determining the award winner by voting daily at VoteOBrien.org.